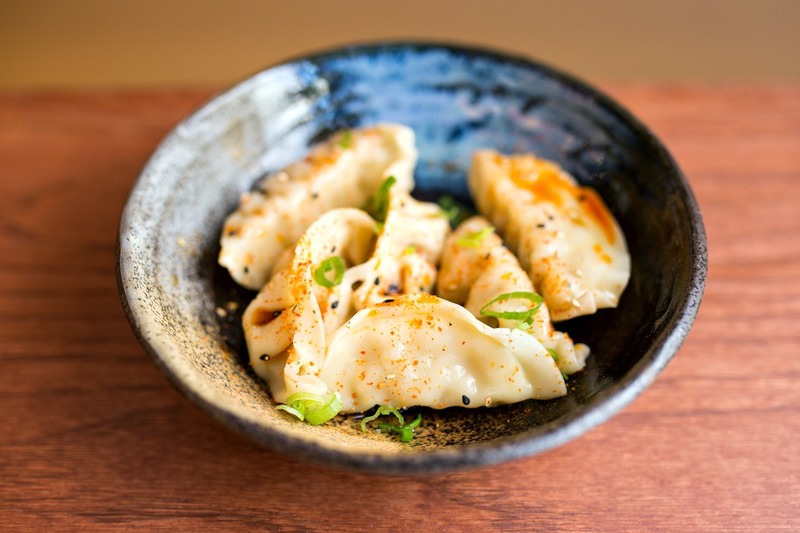 Strings Ramen, the popular Chinatown spot, among one of the very first ramen shops in Chicago, has now opened a second location, at 919 West Belmont Avenue in Chicago's Lakeview community. The new 38-seat space has a similar look, is a mini-version of Strings' 60-seat Chinatown spot (2141 South Archer, Chicago), which opened in February 2014. Strings' chef Katie Dong now serves as Executive Chef of both their Lakeview and Chinatown locations. 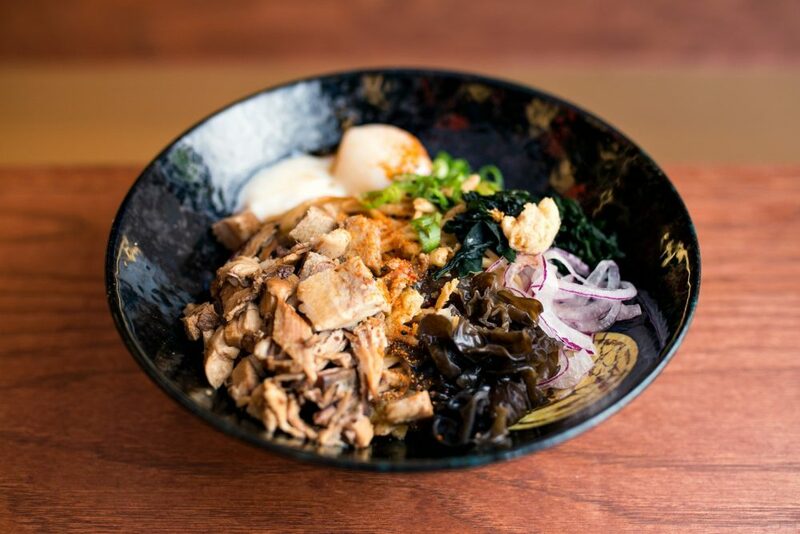 In addition to more than 1-dozen ramen selections, including Strings' signature fiery-hot Hell Ramen, Chef Katie has created a number of special items which are exclusive, only available at Strings' new Lakeview outpost. New menu options include both sashimi and meat rice bowls, Maze Soba with Kura Buta, Sui Gyoza filled with choice of chicken, pork, veggies, or shrimp, and Sunomono with Marinated Faroe Island salmon. 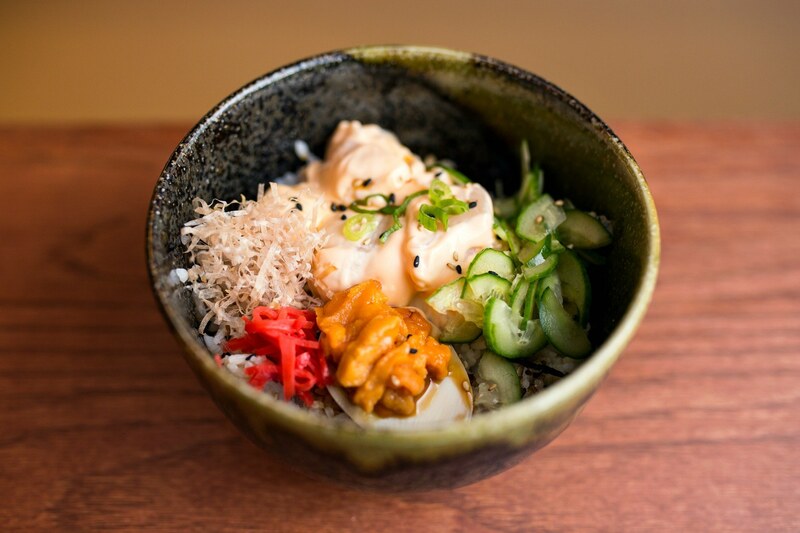 New options include Donburi ​(rice bowl) with Spicy Scallops and Uni, with red ginger, bonito and cucumber. $9.95. Strings Ramen-Lakeview at 919 West Belmont Avenue is BYOB and open 11 a.m. to Midnight 7-days-a-week.